The Vivid Miniature Nativity No. 4 is shown almost larger than its actual size of 3 inches wide. 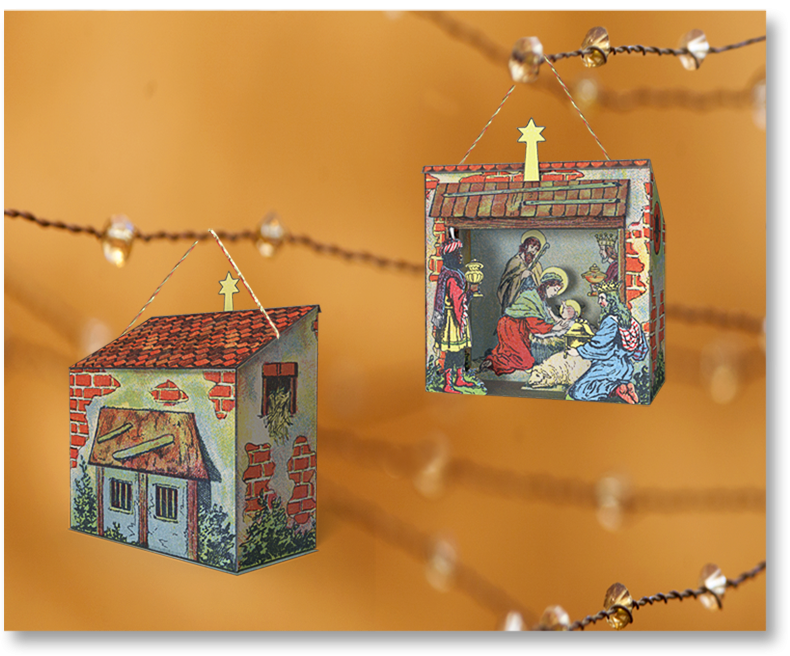 You'll want to make all four Vivid Miniature Nativities! 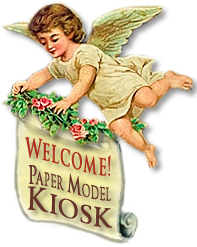 I'm very fond of these miniatures and thrilled to be sharing them with you. Based on vintage nativity sheets in the Crèchemania Collection, they were designedas miniatures, so details are nice and sharp. The colors? Vibrant, bright: reds, yellows, greens and blues decorate colorful stone mangers capped with geometric roofs. But No.2 takes the cake in the roof department, with its 4-sided slopping, diamond-decorated extravaganza. Assembly is simple: all the mangers are folded from a single piece; the floor with the figures is attached; and the roof is added. OK: I should also mention the addition of the magi standing at the door of No. 4, the angel floating on a cloud in No. 2, and the Bethlehem Star in all four. And the best news is that the Vivid Miniature Nativities 1-4 Collection is available at a very special price! 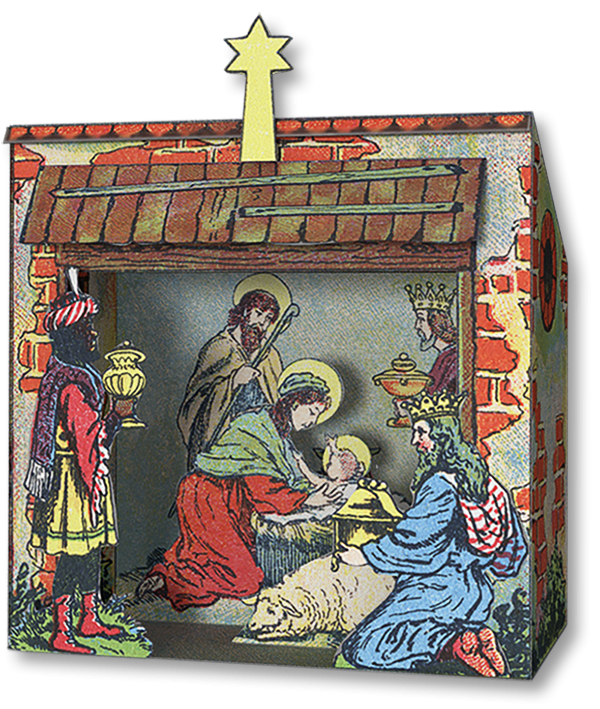 A Premium Download you can print again and again — filling your Christmas tree with colorful miniature nativities! Step-by-Step instructions are included. Size: 3 x 1.5 x 3 inches. Similar vintage nativity sheets are selling for over $60 on Internet sites. Buy Vivid Miniature Nativity No. 4 as part of a collection, and save!